I want to help you create awesome videos and podcasts. If you’re stuck, feeling overwhelmed, need to brainstorm, just need some help; book a free consult with me. I will be happy to answer your questions and will give at least 2 tips that you can apply right away. 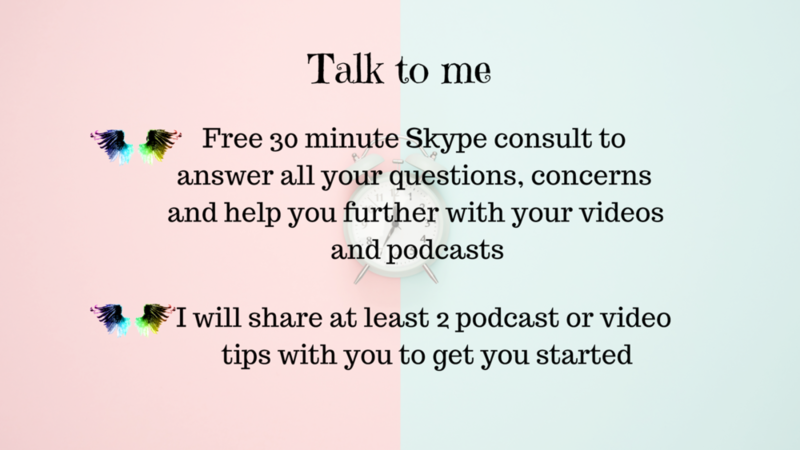 Click the button to book your 30 minute free Skype consult with me.